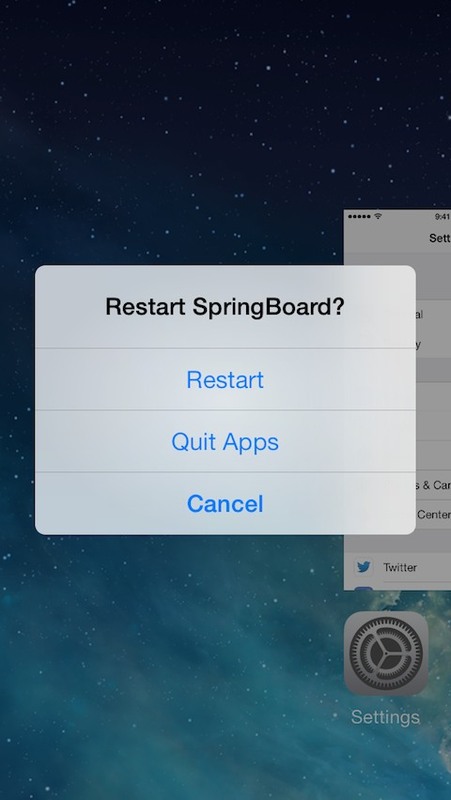 SwitchSpring gives you a convenient way to restart SpringBoard or quit all of your apps quickly on iOS 7. In the app switcher, swipe up on the home screen card and choose what action you want to perform. Quitting all apps doesn't quit the app that's currently playing music. Thanks to /u/mwi98 on Reddit for the idea. - Adds support for iOS 8.